Is there a little something you’d like to fix about your smile? If the answer is yes, then you should consider cosmetic bonding. 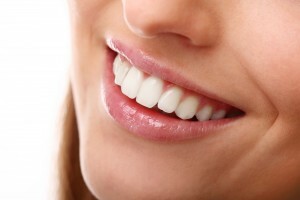 Dr. Greg Friedman at Mod Squad Dental in San Diego, CA, practices the artistry of cosmetic bonding to restore smiles throughout southern California. Cosmetic bonding uses composite resin materials to restore and rebuild damaged or imperfect teeth. With these composite materials, Dr. Friedman can blend colors in order to perfectly match the color of your other teeth. In some case, he may recommend teeth whitening before the bonding process in order to ensure your best smile, and because composite materials are not responsive to teeth whitening gels. Once you and Dr. Friedman determine that cosmetic bonding is the best option for repairing your smile, you’ll probably only need one appointment for the entire process. First, the dentist will prep for cosmetic bonding by applying a gentle phosphoric acid solution to the surface of the teeth in order to help the bonding material adhere better. Then, he will apply the composite resin layer by layer, shaping, sculpting and hardening each layer with a curing light as it is applied. This process is repeated until the desired appearance is achieved. Finally, the teeth are polished to a natural-looking sheen. Cosmetic bonding can last for years with proper care. Brush and floss your teeth twice every day as you usually do, and be careful not to bite down on hard objects with teeth that have cosmetic bonding. If you would like to schedule an appointment for cosmetic bonding, call the office of Mod Squad Dental in San Diego, CA. Dr. Friedman and his staff also serve patients in Scripps Ranch, Poway and Rancho Pensaquitas.